What does it mean if the ΔH of a process is positive? It means that the system in which the chemical reaction is occurring is gaining energy. If one considers the energy of a system as being represented as a height on a vertical energy plot, the enthalpy change that accompanies the reaction can be diagrammed as in part (a) in Figure 7.3 “Reaction Energy”: the energy of the reactants has some energy, and the system increases its energy as it goes to products. The products are higher on the vertical scale than the reactants. Endothermic, then, implies that the system gains, or absorbs, energy. 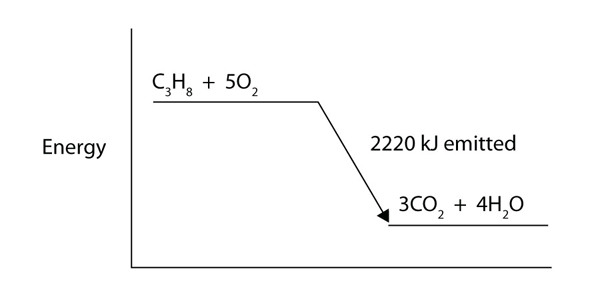 An opposite situation exists for an exothermic process, as shown in part (b) in Figure 7.3 “Reaction Energy”. If the enthalpy change of a reaction is negative, the system is losing energy, so the products have less energy than the reactants, and the products are lower on the vertical energy scale than the reactants are. Exothermic, then, implies that the system loses, or gives off, energy. (a) In an endothermic reaction, the energy of the system increases (i.e., moves higher on the vertical scale of energy). (b) In an exothermic reaction, the energy of the system decreases (i.e., moves lower on the vertical scale of energy). 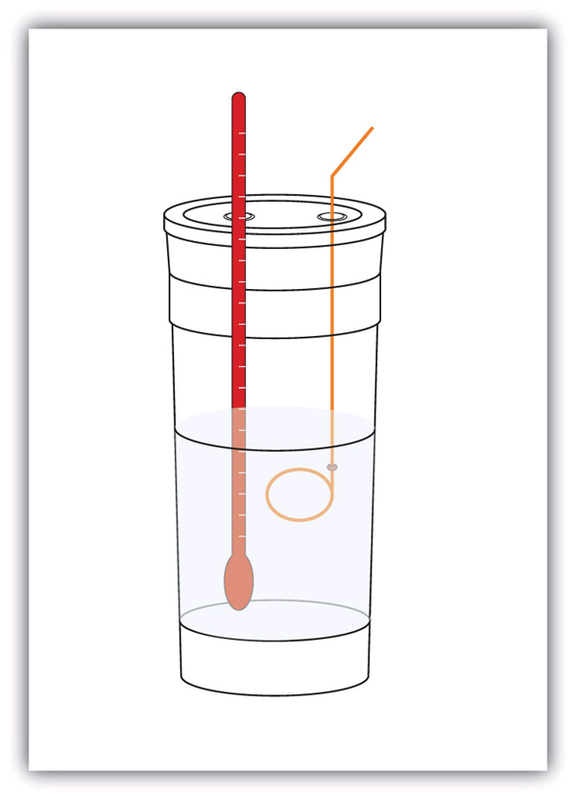 A simple calorimeter can be constructed from some nested foam coffee cups, a cover, a thermometer, and a stirrer. Enthalpy and Chemical Reactions by Jessie A. Key is licensed under a Creative Commons Attribution-NonCommercial-ShareAlike 4.0 International License, except where otherwise noted.